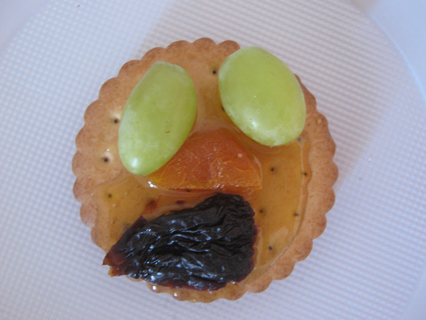 It’s a face stuck on with honey – grapes for the eyes, apricot for the nose and prune for the moustache! This entry was posted on Friday, August 17th, 2012 at 7:38 am and is filed under Uncategorized. Tagged: art, biscuit, fruit, portrait. You can feed this entry. You can leave a response, or trackback from your own site.